This Beneteau Oceanis 37 sailboat, built in 2008 is an excellent choice for those wishing to experience a new sense of freedom in style and comfort. Wake up to the sound of the sea in one of the Beneteau Oceanis 37’s 3 spacious and modern cabins. Sleeping up to 7 people, this sailboat is perfect for sailing with friends and family. 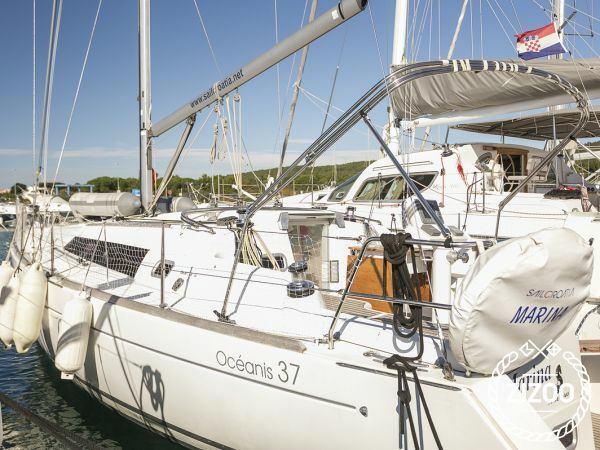 The Beneteau Oceanis 37 is located in D-Marin Marina Dalmacija (Sukošan), Sukosan, a convenient start point for exploring Croatia by boat. Happy sailing. Wir haben die OCeanis zu dritt gechartert. Salon ist sehr geräumig, alles war sauber und in gutem Zustand.